The term “Cordon Bleu” (by itself) relates to a special order of French knights. Presumably, by association, cordon bleu as it relates to recipes (as in, chicken cordon bleu…boneless breast of chicken wrapped around cheese and thinly sliced ham) also originated in France as dishes of distinguished classes. Food historians tell us the notion is debatable. Butterfly the chicken breast. Don’t cut it all the way through. 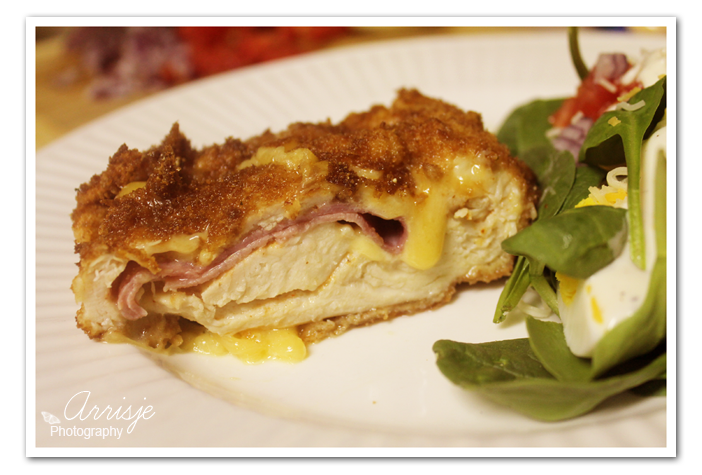 Put 1 slice of Gouda Cheese and 1 slice of ham in the chicken breast, and close it. Season with seasoned salt, or any seasoning you prefer. 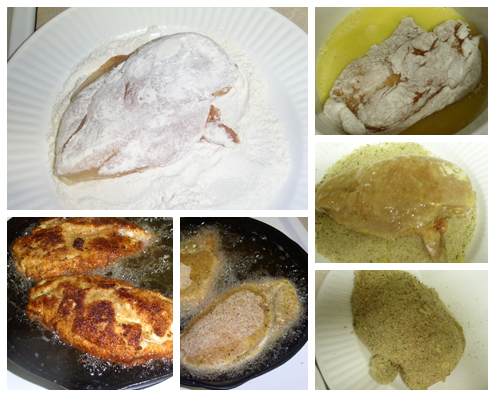 Dip the chicken breast in the flour. Heat the canola oil to 375F (medium high on electric stove 7) and fry the chicken breast on each side. That shouldn’t take more then 3 minutes. When all the chicken breast are fried put in a preheated 350F oven for 20 minutes. In the meantime you can make the Hollandaise Sauce the following way. 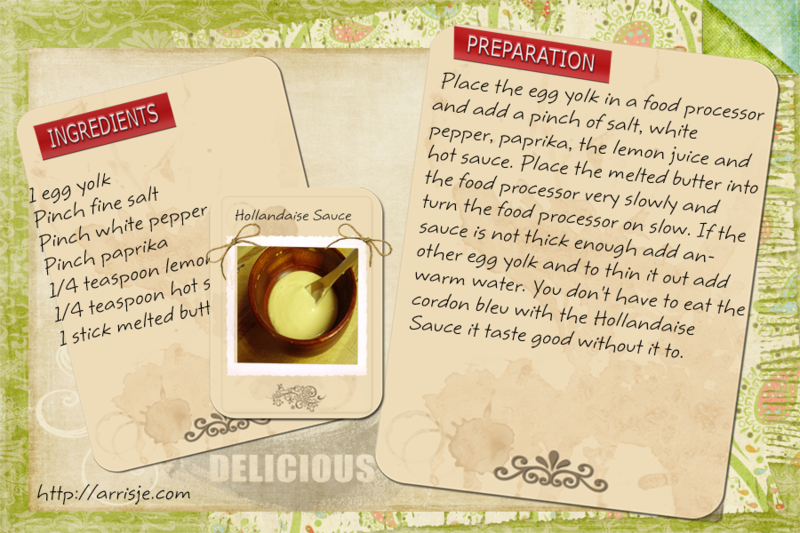 Place the egg yolk in a food processor and add a pinch of salt, white pepper, paprika, the lemon juice and hot sauce. Place the melted butter into the food processor very slowly and turn the food processor on slow. If the sauce is not thick enough add another egg yolk and to thin it out add warm water. You don’t have to eat the cordon bleu with the Hollandaise Sauce it taste good without it to. Butterfly the chicken breast. Don't cut it all the way through. 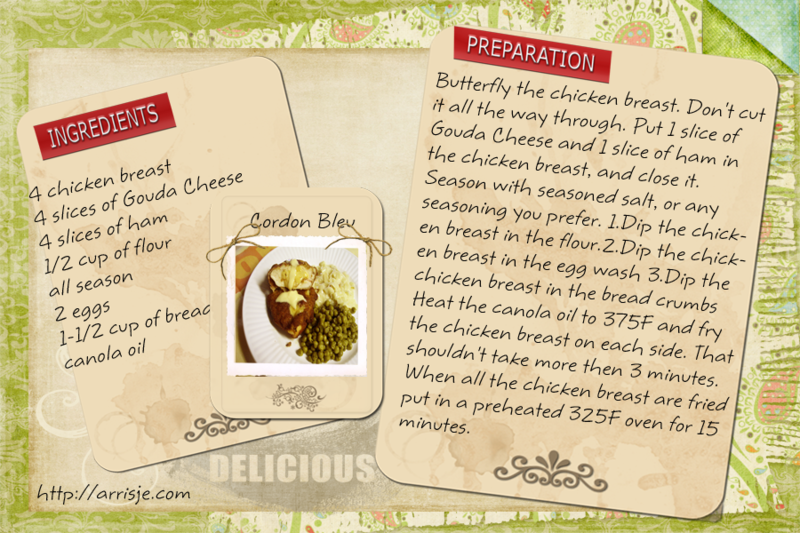 Put 1 slice of Gouda Cheese and 1 slice of ham in the chicken breast, and close it. Season with seasoned salt, or any seasoning you prefer. Heat the canola oil to 375F and fry the chicken breast on each side. That shouldn't take more then 3 minutes. When all the chicken breast are fried put in a preheated 325F oven for 15 minutes. In the meantime you can make the Hollandaise Sauce the following way. 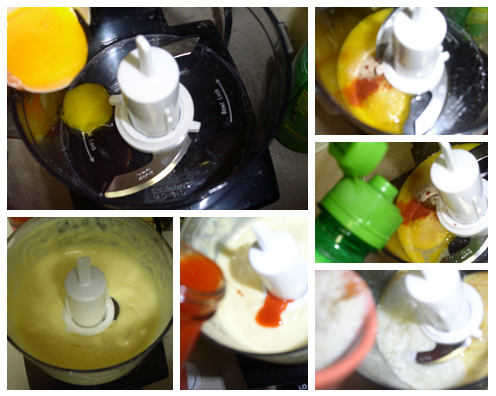 Place the egg yolk in a food processor and add a pinch of salt, white pepper, paprika, the lemon juice and hot sauce. Place the melted butter into the food processor very slowly and turn the food processor on slow. If the sauce is not thick enough add another egg yolk and to thin it out add warm water. You don't have to eat the cordon bleu with the Hollandaise Sauce it taste good without it to.